Let me start out by saying this movie was much better than I expected it to be. If I’m being totally honest, I went into it not 100% thrilled that Disney was just doing another live action re-make – especially after my disappointment with Maleficent. Then we saw a “sneak preview” of the movie at Hollywood Studios, where they showed the complete fairy godmother scene, and I’ll be honest: I didn’t think it was very good. Luckily, that scene was the lowest part of the movie for me, and the rest turned out quite well. The animated movie spends a lot of time on the antics of the mice, and luckily they play a much smaller role here. 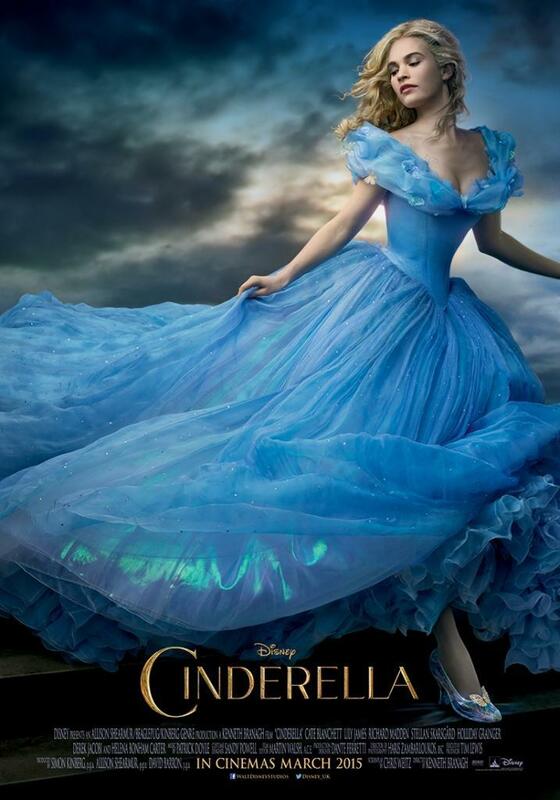 In order to make this a full length movie, we delve more into Cinderella’s back story, which pays off. We meet her mother and father and see her life as a child, when things were happy. It develops more of a connection with her, and also shows us more of the reasons why she fell into the position that she did in the household. We also have Cinderella and the Prince meet initially before the ball, in a very sweet and captivating scene. It’s the basic story of Cinderella with some extra stuff thrown in, with a nice pace and without adding too much unnecessary extras. Highlights: Overall it is a really excellent movie. I find it to be quite enjoyable, funny, and emotionally touching. One of the nice things about this movie is that it keeps a good pace. They go on lots of adventures but it doesn’t feel too rushed, and it never really drags at all. 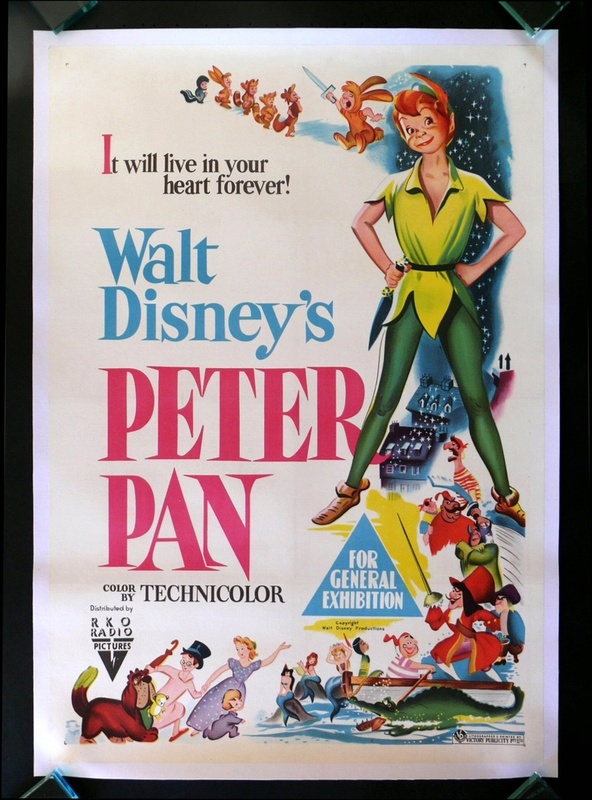 Music: I think Peter Pan‘s got a lot of great songs – with the exception of Fantasia, which was focused on music, I might even say that Peter Pan is one of the few “early” Disney films to have a really memorable and overall good soundtrack. 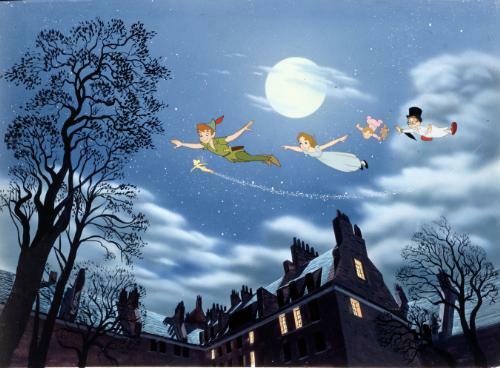 “The Second Star to the Right” and “You Can Fly!” are both really good numbers. There are also some good character songs, with “A Pirate’s Life” for the pirates and “What Makes the Red Man Red?” for the Indians. “Your Mother and Mine” is a beautiful lullaby, if not a little boring. And the crocodile’s tune is both fun and catchy. 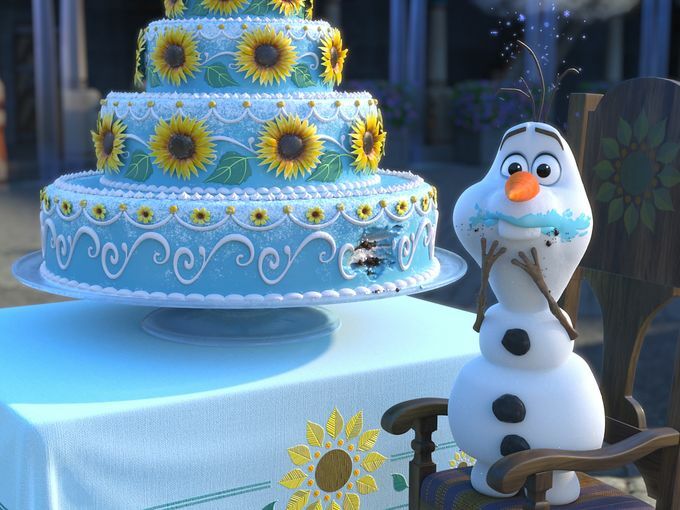 Every month my friends over at Mouse on the Mind host a blog hop of “Kill, Refurb, Marry” – and this month’s topic is Disney Sidekicks! Here are my choices – what would you choose? 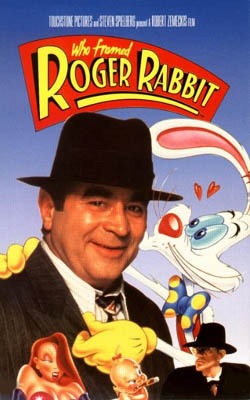 To be fair, he is a cool character – I want to kill him more in the sense of, “gahh I hate you!” rather than “I wish you weren’t in this film.” He’s not necessarily a villain, but he’s a troublemaker, and he doesn’t seem to feel bad at all for Alice, even when she’s at her wit’s end and crying about home. He’ll always point her in the wrong direction. 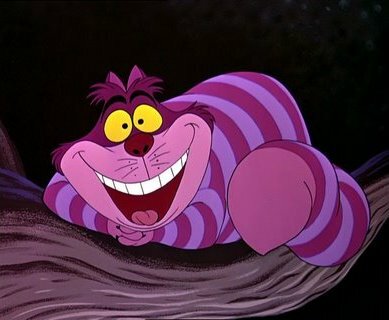 And I’m a cat lover, so he gives my cuddly creatures a bad name! Highlights: The series of nonsensical adventures that Alice goes through are cute and captivating. There is a lot of silliness going on here, making it a pretty funny movie. Low points: Well, this was a highlight too, but the movie is just silly. There’s no real consistent plot to it, and sometimes it just gets a little too ridiculous for me. The nonsense goes on for a little too long – I prefer a little more plot in my movies, or at least memorable songs. 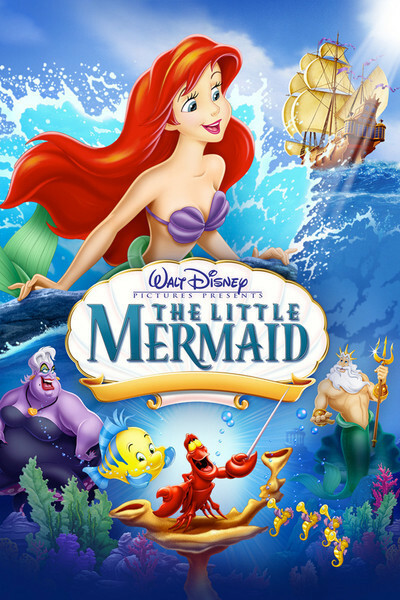 Music: There are a lot of songs in this movie, but most of them are super short or else just not that interesting. But with so many mini songs that are so well known, I’m quite surprised that nothing from Alice in Wonderland appears on my set of Disney’s Greatest Hits CDs. 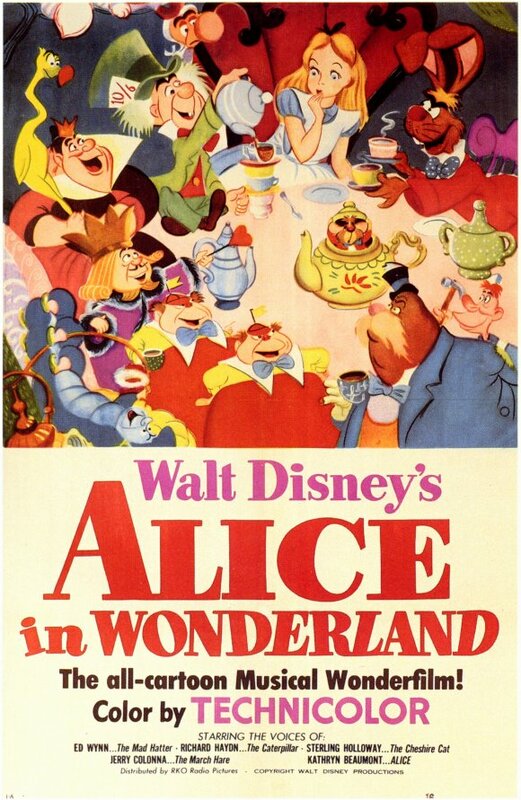 You have “The Unbirthday Song,” “I’m Late,” which are the most memorable, but you also have Alice singing “In a World of My Own,” “The Walrus and the Carpenter,” and the flowers singing “All in a Golden Afternoon.” Lots of different songs throughout the whole movie – basically every time Alice goes somewhere else or meets someone else, they sing a song. Ooh, this sounds like it will be a fun one! Disney villains are fascinating characters, though I will admit the thought of having to marry one of them might not be the most appealing thing in the world. And then there was this question: is “kill” the villain I like the least and “marry” the one I enjoy the most? Or the one that I would literally want to kill the most or marry the most. I went with the more literal translation, so the villains in contention for kill are great characters – just they’re such great villains I want to kill them! There were definitely some difficult choices this week, but here’s what I came up with for this month’s edition of Kill, Refurb, Marry. This was a tough choice. 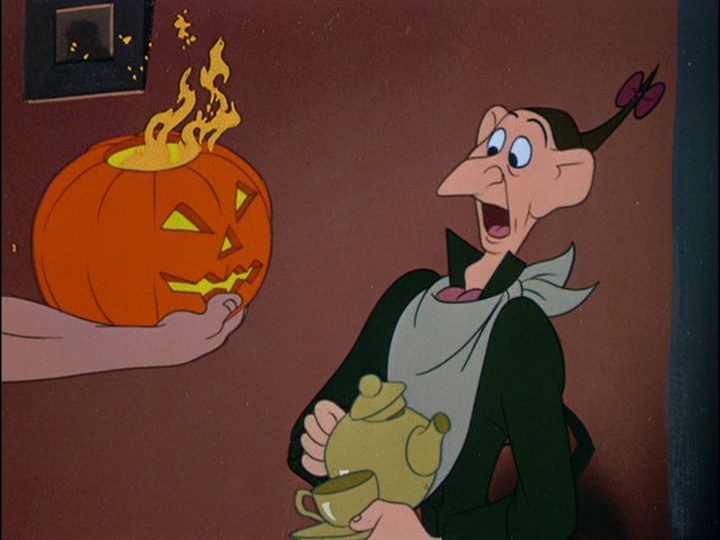 Which Disney villain makes your skin really crawl the most? And makes you want to punch them in the face? There are certainly a number of contenders here, but I went with Frollo. Talk about evil personified. He is a cruel, heartless man, treating people terribly because they are different from him. Even though characters like Maleficent and the Evil Queen do terrible things and are certainly evil, Frollo seems to hit home a bit more because he’s more human. There’s no magic or evil spells that are causing him to do what he does, it’s just a malicious human nature. 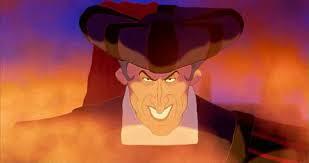 Maleficent couldn’t exist in real life, but Frollo could. And that is terrifying. Highlights: The Wind in the Willows is a fun short with a cute story and memorable characters. The Legend of Sleepy Hallow portion has some high points in it, though overall I wasn’t a huge fan (though I know many people are). But I did enjoy some of the music in it and some of the scenes. Low points: The Legend of Sleepy Hallow came off as a bit odd to me. I think part of this is because the original story itself is odd, but then turning it into an animated movie presumably for kids makes it a bit weirder. It seems funny and lighthearted at the beginning, but the ending… not so much. 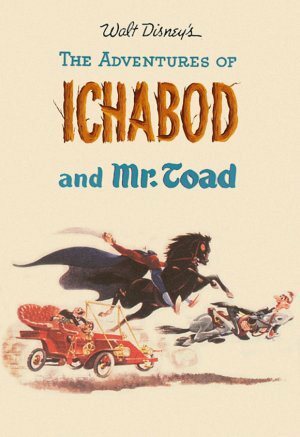 Ichabod himself isn’t very likable so there’s not a ton of investment in the characters.